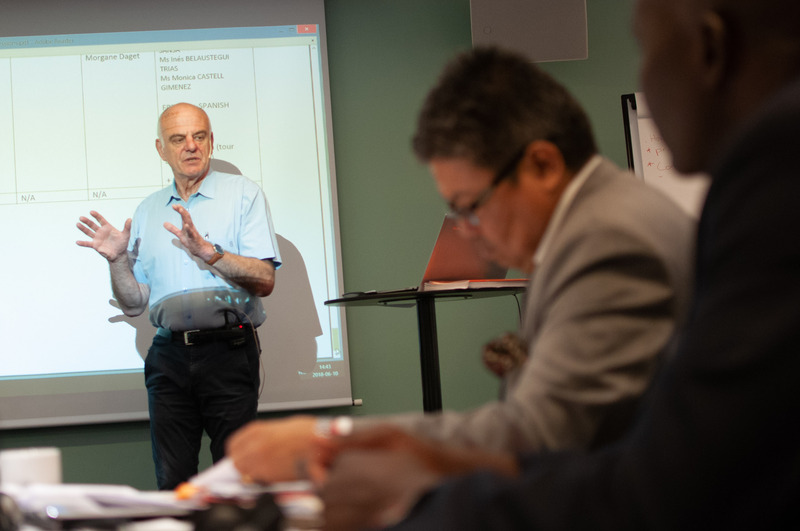 The 2017 Scaling Up Nutrition (SUN) Champions took part in the EAT Stockholm Food Forum 2018, preceded by a first of its kind, three-day Champion Training from 8-10 June, supported by EAT and the SUN Movement  and designed to help progress national food and nutrition objectives. This eminent group of champions represent a range of countries and fields and include H.E. Ms. Roman Tesfaye, former First Lady of Ethiopia, Prof. Dr. Geeta Bhakta Joshi Assistant Minister and member of the National Planning Commission of Nepal, H.E. Mr. Jean-Baptiste Ondaye, Minister and Secretary General of the Presidency of the Republic of Congo and Hon. Ms. Spectacular Gumbira, Junior/Child Parliamentarian of Zimbabwe. 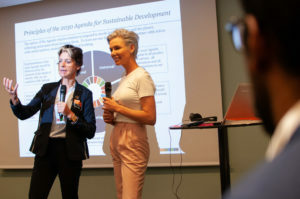 The fifth EAT Stockholm Food Forum, 11-12 June 2018, brought together some of the brightest minds from science, politics, business and civil society to explore a range of solutions for achieving healthy and sustainable diets for a growing global population and is as an important opportunity for the SUN Nutrition Champions to showcase their experiences and to demonstrate the progress and challenges of scaling up nutrition, in practice. Informed by research analysed in the upcoming EAT-Lancet Commission on Healthy Diets from Sustainable Food Systems, the Forum encouraged dialogue, engage with the audience through panel discussions, interactive plenaries, interviews and workshops. With more than 150 million children too short for their age – or stunted – and almost 3 billion women, men, girls and boys suffering from one or more forms of malnutrition the world over today, nutrition champions are integral to building and sustaining political commitment for nutrition. In over 25 SUN Countries, high profile individuals – an increasing global group – are doing their utmost to make nutrition matter for everyone, everywhere. 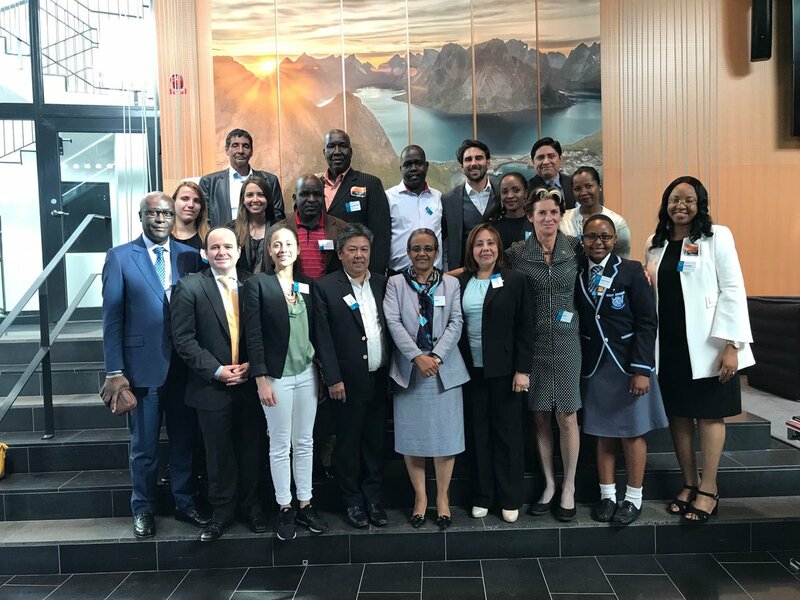 As high-level champions, their advocacy not only benefits their own nations, but their efforts can inspire other countries that are part of the Movement. Awarded during an official ceremony on 8 November at the 2017 SUN Movement Global Gathering, held in Abidjan, Côte d’Ivoire, the SUN Champions today include nine Scaling Up Nutrition Champions, three Lifetime Achievement award recipients and one SUN Country Team Award. 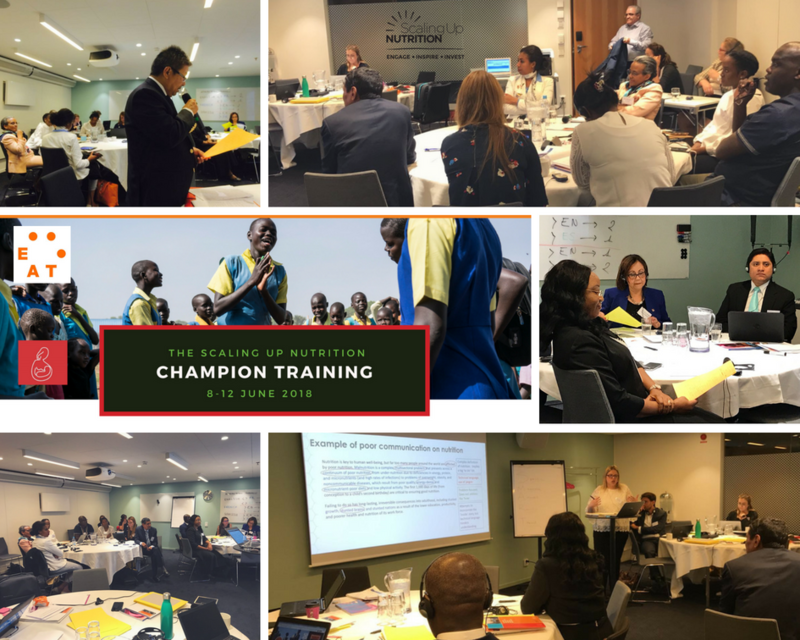 These women and men joined a larger family of nutrition champions, shortlisted in the fall of 2017, with nominations received from almost 25 countries around the world. Both laureated and shortlisted candidates will be attending the Champion Training and the EAT Stockholm Food Forum. 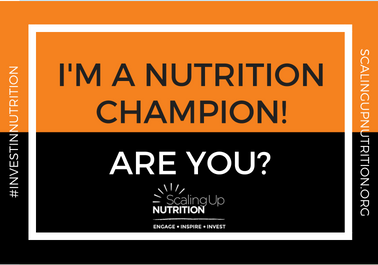 Each SUN Movement nutrition champion contributes to an increasingly global group of nutrition champions who are galvanizing political attention toward improving nutrition. As high-level champions, their advocacy not only benefits their own nations, but their efforts can inspire other countries that are part of the Movement. The training focused on the multiple burdens of malnutrition (or undernutrition, obesity and non-communicable diseases), financial tracking and resource mobilisation for nutrition, engaging with the media, and setting advocacy and outreach objectives. Members of the SUN Movement Lead Group, Dr. Gunhild Stordalen, founder and executive chair of EAT; David Nabarro, Sustainable Development Facilitator; Sania Nishtar, Founder/President, Heartfile Foundation; and Gerda Verburg, SUN Movement Coordinator and UN Assistant Secretary-General addressed the Champions on Sunday 10 June. Since 2010, the SUN Movement has inspired a new way of working collaboratively to end malnutrition, in all its forms. With the governments of 60 Countries and three Indian States in the lead, it unites people – from civil society, the United Nations, donors, businesses and academia – in a collective effort to improve nutrition.